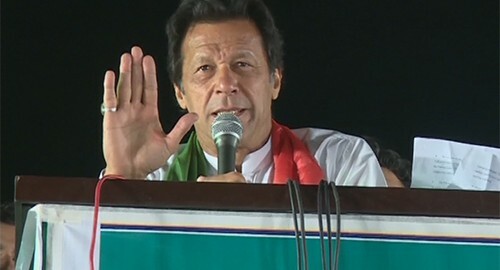 LAHORE (92 NEWS) — Chairman Tehrik-e-Insaf Imran Khan has once again criticized the government. He said gas pipeline project was inaugurated 4 times by Pm Nawaz sharif. Imran Khan expressed these views after the PM speech in Mansehra. He said Prime minister may not give the answers of all questions by arranging the meetings. “Four rules has been broken by the PM Nawaz sharif after the Panama Leakes.” He added. He also said that Panama Paper did not make any excuse by Government.